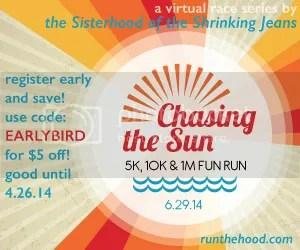 This weekend we are running our annual Sisterhood Virtual 5K (okay, so it was supposed to be in 2010, but we just barely missed it). We are dedicated these runs to all of our Sisters who are running in the Disney Full & 1/2 marathons this weekend. Congratulations to all of our Sisters (and brothers) who joined us for this challenge. All of you did an amazing job, and we are so proud of you! A special shout out to our very own Christie O. as she prepares to run her first full marathon in Disney tomorrow, along with Brooke and Kirsten (also first time marathoners). We’re also cheering for Dr. Mo running the Disney 1/2 today! 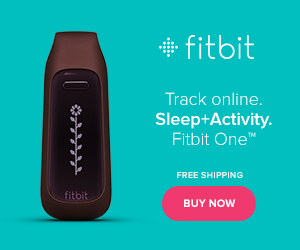 Link up below with your race reports! I don’t know if I have time to blog about my race today so for now this will have to do. I did my 5k at home today on my treadmill. This is my third time doing a 5K but the first time I ran it. I did it in 40.23. I was pretty happy with that time. I was watching Grey’s Anatomy while running so that helped. I am very excited to say I finished it and it wasn’t as hard as I thought it was going to be. I did walk for the first 3 minutes as a warm up but then I ran the rest. I want to say thanks for my C25K girls, Adah and Ann for all the encouragement and support. So proud that we did it! Woot! Awesome run, Dawn!! You did great and I’ve loved having a group of women for the support as well!! I have been getting over a bad chest cold and spent all of Friday night coughing up my lungs. I was really bummed I couldn’t participate in the 5K yesterday. I had a good sleep last night and didn’t cough so I got on my treadmill this morning and did 5.6K with the help of Weird Al and my salbutamol inhaler to show my support for the Sisters who did run yesterday. I’ve been enjoying the indoor bike more than the treadmill lately. But figured I’d better put a little time in on running! Finished in 33:30. Pretty good for me, but I’ll really be looking forward to getting outside soon!